Before establishing Express Ranches and Express Employment Professionals, both of which are thriving Oklahoma-based businesses, Bob Funk Sr., was an FFA member. According to Funk, his participation in FFA – a nationwide organization that believes in the future of agriculture and focuses on preparing tomorrow’s leaders – played a big role in his business success. That’s one reason he is passionate about connecting Oklahoma students with the Oklahoma FFA Association, which ranks fourth nationally in number of FFA members with more than 27,000 young people in nearly 360 chapters across the state. In addition, Funk credits his FFA advisor with helping him find success, and he is proud to give back to the organization that gave him so much. 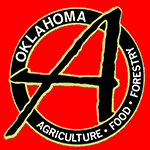 Holly Blakey, executive director of the Oklahoma FFA Foundation, said it’s generous donors like Funk, along with the advisors, educators and volunteers who support the Oklahoma FFA Association, that help the organization and its members continue to excel. Ag education is crucial for future chefs to understand all there is to know about food.